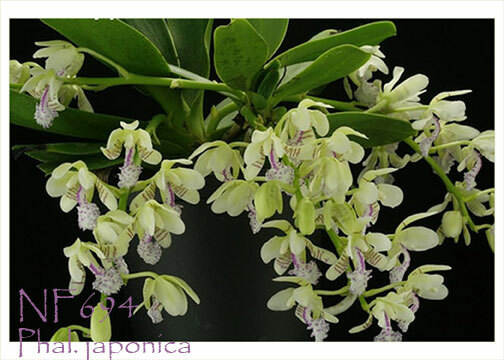 Formerly known as Sedirea japonica, this species has now been reclassified as a Phalaenopsis. Extremely compact Miniature, its inflorescence can produce up to 12 cream to soft green flowers accented with magenta barring on the lips. Producing a delightful ginger-like fragrance during both the day and evening, this species blooms from winter into the spring with its flowers lasting one to two months. Fully mature plants can branch freely, producing multiple inflorescences. 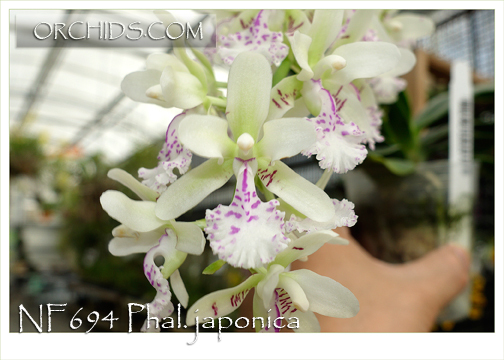 Best grown under intermediate conditions with Phal. 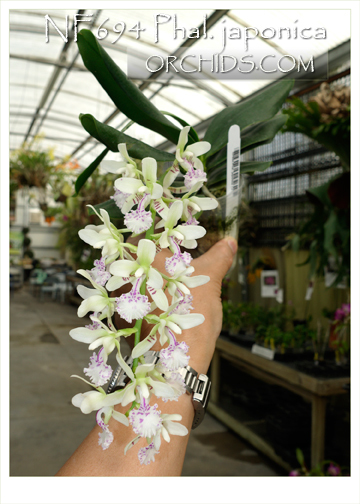 light and, unlike other Phal. species, it likes to dry slightly between waterings. Highly Recommended !